The TT100 Series completes our power transmission offer for the Italian and global market. 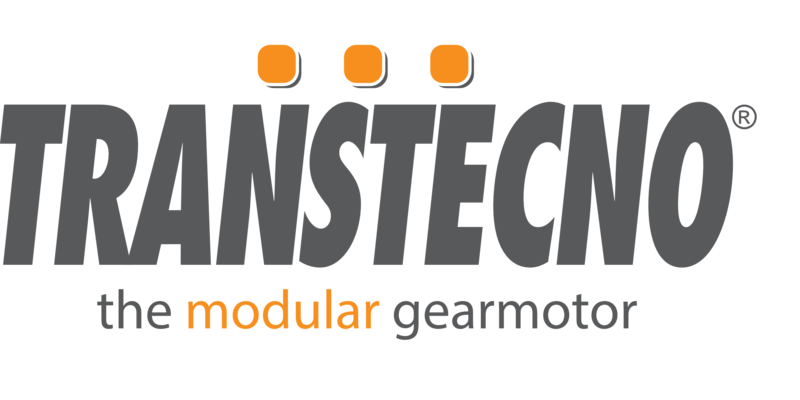 As a member of the Transtecno Group, we sell and distribute the TT100 Inverter Series providing complete technical and logistic support. Thanks to our large stock availability, we store the complete single-phase 230V product range (0,20 kw – 2,2 kw) and the three-phase 400V product range (0,75 kw – 15 kw). Torque can reach 150% of rated torque. Auto torque promotion and auto slip compensation allows larger output torque at low frequency. User-defined curve, V/F curve can be adjusted. Lower-noise, carrier-wave frequency can be adjusted from 2khz to 10khz. Control protection is immediate and reliable, which improves system stability. Compatible with npn and pnp types. Advanced v/hz control technology ensures precise control and better performances. Output frequency is 0.50~650.0Hz (V/F), 0.50~200.0Hz (SVC). The highest resolution is 0.01Hz. Built-in braking unit (standard only for 400V units). Speed control through digital frequency. Jogging speed control, multistage speed-control, external analogue signal speed control and PC/PLC speed control. Standard RS485 communication interface, PC/PLC control by Modbus communication. 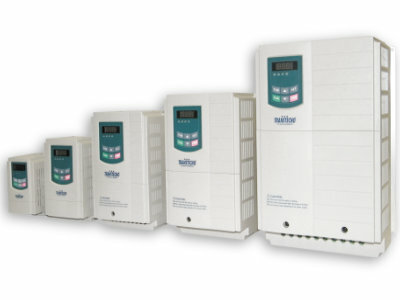 Through this communication several inverters can be operated at the same time. Speed control through keypad, analogue voltage or current signal and Modbus serial communication. Selectable NPN and PNP type input logic. 6 digital input terminals. They can be used as user-defined function terminals and one of them can be used as a pulse frequency input terminal. 2 analogue input terminals: one can be used to input voltage (0~5V, 0~10V) and the other can be used to input current (0-20 mA, 4-20 mA). 1 digital output terminal, 1 programmable relay output terminal and 2 analogue output terminals. One of digital terminals can be defined as a digital frequency output terminal. Using the display, it is simple to program. The running frequency can be set easily. TUTOR TT100 is a windows based software that helps the user to connect and set up the TT100 Variable Frequency Inverter. This tool gives everybody, OEMs and/or distributors simple technical support for the TT100 Inverter. It is made up of 3 different sections linked internally and designed as a short course that the user must follow to obtain the necessary information. The first part is the TUTOR TT100 file which shows you with images and text how to connect the power. 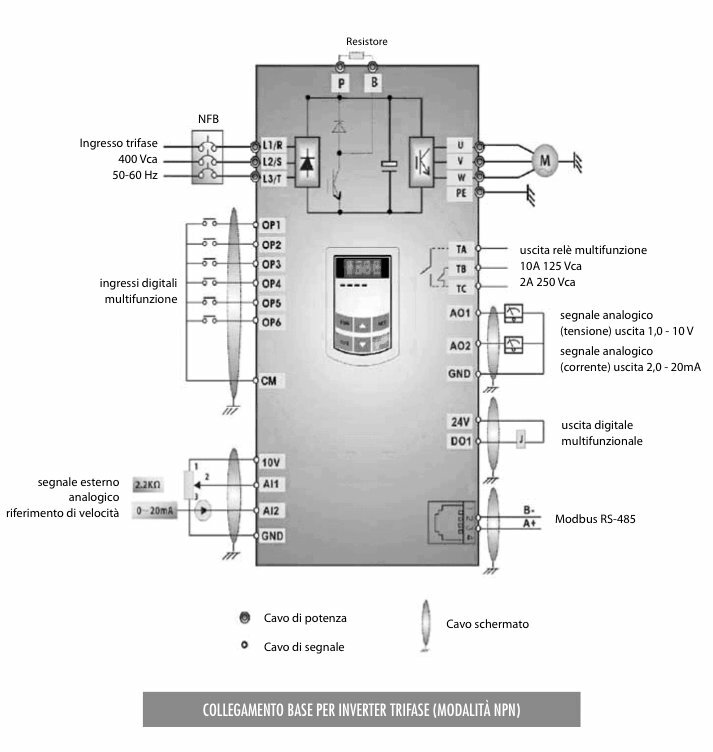 Next you can find the description of the control panel, here you can see how to program the inverter. Once this part has been completed, you are ready to explore the third and final part dedicated to connections. The software shows you how to set up the terminal, for each different configuration you can find the parameters indicated. The complete course takes 5 minutes and gives the user essential information in order to install the inverter and the ability to communicate with Intecno/Transtecno Technical Dept. if necessary. The course completes the three main actions : connections—>programming—>set up. Over 30 years of experience and knowledge of international standards, technological changes and industrial systems, we are dedicated to provide the best and economical solutions to our valued customers. Sign up to receive news and dates of events to which we are present.